has anyone removed the flip up lights on the gt 2 .... thinking of doing it to my gt 2 but wants to see what it looks like first. Peidiwch ? mynd i'r afael ? phroblem rhy fawr. Gall troi a llosgi chi.rhy fawr. Syngledad36 I copied all the post files less the HELP post. This is the only one that I have seen without the flip up headlights, looks pretty good in my opinion but would be a descent amount of work I imagine. 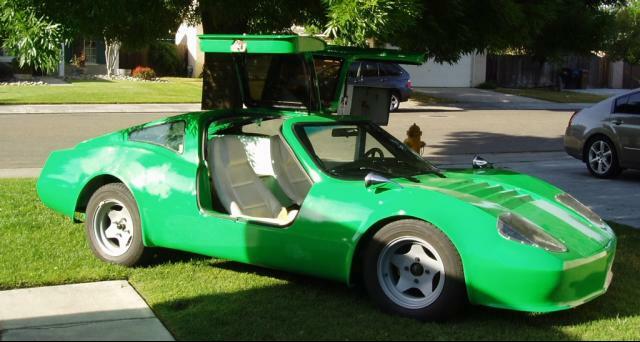 Do you have any more pic of the green GT-II. The fellow had resculpture the noise of his Brad and it looks like the rear end may be cleaned up a little. If you know this fellow get him in the club, maybe get him to post some feature of his Brad. Wynn, this car was built by a 16 year old. It is an electric. A quick search brings him up. Looks like the valkrie/avenger headlights. he also built the front airdam/spoiler himself. As far as the headlight bucket removal, I have seen a few different gt2's with thin headlights mounted in the top of the recess with plexi-glass covers. I just found that picture online :/ wish I knew the owner. 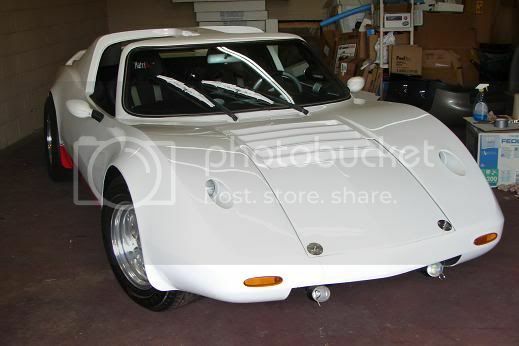 The car was built in the South by the owner of a body shop for his wife, it was for sale on CL for a really long time, they were asking $5000.00 It finally sold and about 3 months later appeared on CL again from a different owner @ $6000.00 not sure what ever happened to it but it was really built! the floor mats lit-up with the Bradley logo and the detail work was outstanding. 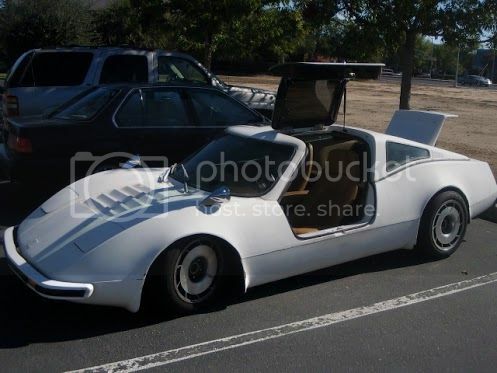 Not to revive a long dead thread, but I am pretty sure I just bought this car at an estate sale.. 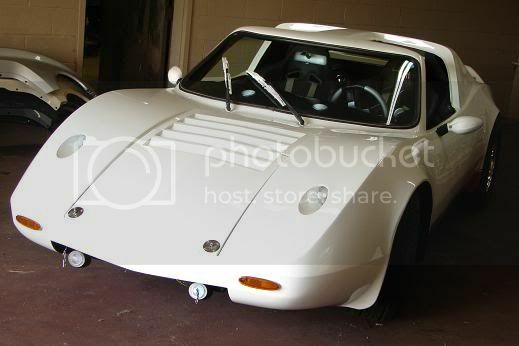 I am new to the kit car world but fell in love with the car (and the price) when I was at said estate sale. Since buying it, I have been looking everywhere for the model of the one I just bought but all of the pictures were wrong because the headlights were off, the hood was slightly different, etc. 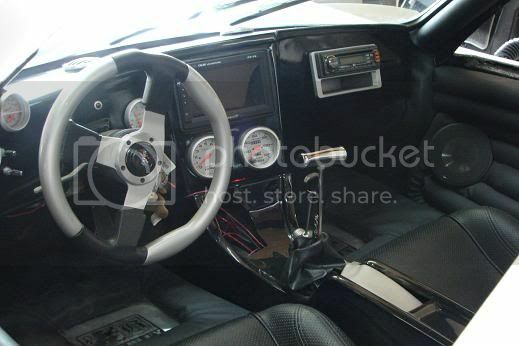 When I found this thread I was just looking to see if there was a specific model type and then I noticed the steering wheel, padding on the side, speakers, shifter, it's all the same. Sadly the car ended up at a hoarding house and has fallen apart, but I am excited to have pictures to reference while I bring it back to life. riki, do you have any pix that you can put up? If it's the same car, I can't imagine someone would neglect it - it was so well built! Does anyone have a source for a back windshield and a drivers side door plexiglass replacement? There are no "new" parts sources. I believe the back windshield is just a flat piece of glass you could get at a glass shop.